Take me somewhere sunny and 75°! If the upcoming PCS season brings military orders to Florida, you could follow that song lyric to MacDill Air Force Base in Tampa, Florida. Scrolling through the many fine listings on MilitaryByOwner, you’ll notice an abundance of off-base neighborhoods. 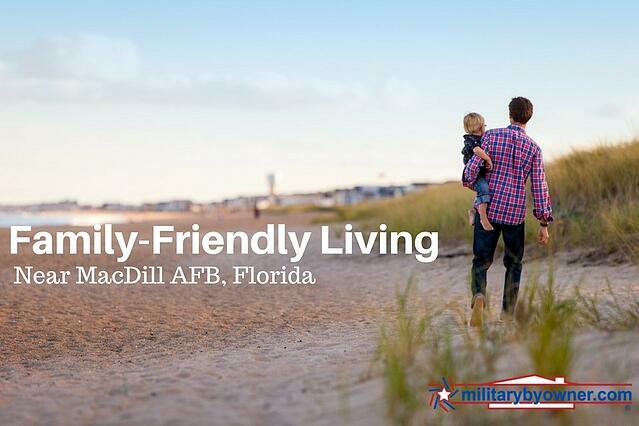 Our post, City or Suburbs: Where Should You Live Near MacDill AFB, Florida? may help you narrow down where to nest. From Apollo Beach to Zephyrhills, you’ll find a little bit of everything in these Sunshine State communities. Let's take a closer look at a couple of properties listed for sale near MacDill AFB! While touring east of Tampa, you’ll discover the city of Seffner and this dreamy destination. After a mild Florida winter, the spring and summer seasons burst with blooms and berries. Hand out baskets to your children at the “u-pick” farm nearby and gather blueberries, blackberries and strawberries to your hearts content! Along with berry picking, you’ll find all sorts of family fun with the gated Hunter's Lake community and this 3,500-square-foot home. 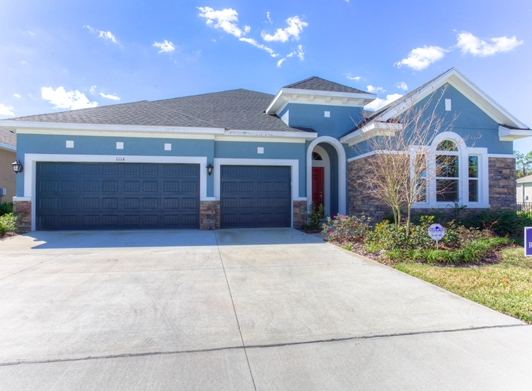 Located around 20 miles from MacDill AFB, this recently built residence offers easy access to the Selmon Expressway and other major roads. With 5 bedrooms and 4 baths, there’s plenty of space for your busy bunch. The whole tribe can tuck their stuff away in deep closets, cupboards, and storage nooks. From tots to teens, the kids can hang out where they please with the open floor plan, which includes a luxurious covered pool and screened in patio. If searching MilitaryByOwner for a move-in ready manor, consider this exclusive Seffner property. Lithia, Florida Note: This home is no longer listed. Check MilitaryByOwner's current Lithia listings. Whether they are cuddled in a Moby wrap or exploring the nearby playground, you and your little ones may embrace the friendship and fun of a local mom’s group. 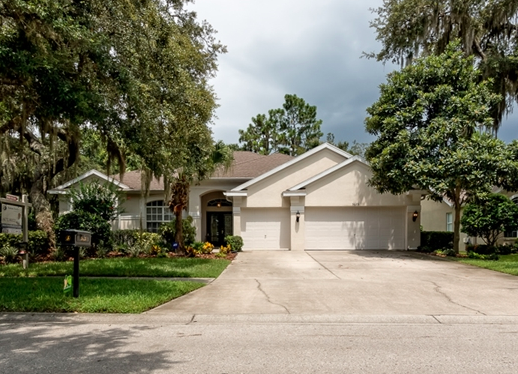 As reviews on Military Town Advisor describe, gathering for play dates is one of the many perks of living in Lithia and this family-friendly Fishhawk neighborhood. Boasting 5 bedrooms and 4 bathrooms, this 3,143-square-foot estate may be the idyllic setting for your family to play and grow. When your kiddos have claimed their choice of the oversized bedrooms, invite friends and relatives to stay in the luxurious upper level guest accommodations. Meanwhile, you and your spouse can unwind in the secluded master suite, with access to the covered patio and private pool. With MacDill AFB around 30 miles away, you may find living in Lithia offers a hometown feel that is shared with both military and civilian neighbors. Featuring amenities like a skate park, sports complex, splash pad, and several community pools, it’s easy to see why busy families are drawn to Fishhawk property listings on MilitaryByOwner. No matter where your Florida house hunt leads, you’ll find nearly every neighborhood has exemplary schools and a sense of community pride. 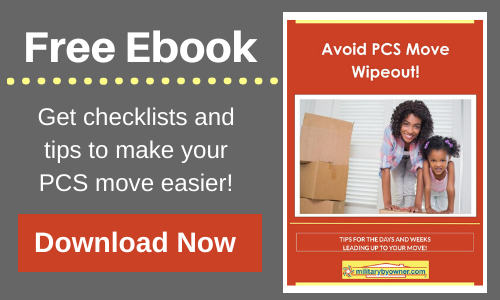 For helpful information on buying home, as well as handy tips for your upcoming PCS, browse our complimentary ebooks prepared with military families in mind.